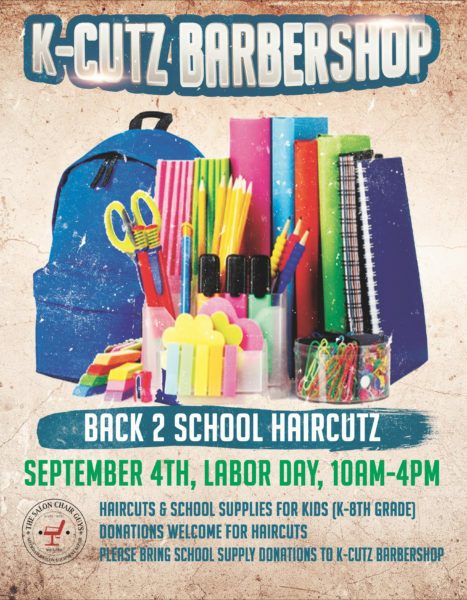 Join us and the Salon Chair Guys in collecting school supplies for San Diego Kids. Hair salons can do so much good as a community by banding together, and we know we have the best clients in La Mesa! Cultivate your art of giving and help us by bringing new school supplies to Cultivate La Mesa on Friday. And if you don’t have an appointment and need one, call today and book on elf our best stylists in La Mesa.